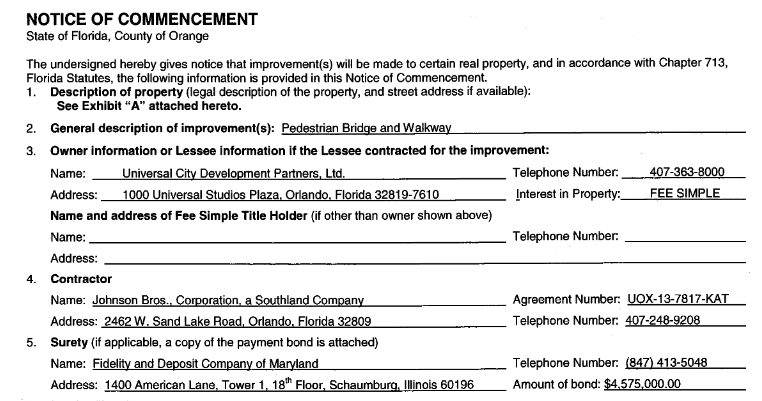 New NoC came across the desk today for the Cabana Bay pedestrian bridge. Looks like it should be going vertical soon. As always, follow @Parkscope for up to the minute information.